Through the leaded glass window a dusting of frost is seen on the naked branches outside. Below zero. The water in the birdbath has frozen solid. The only place to be is in the nest. My front room. 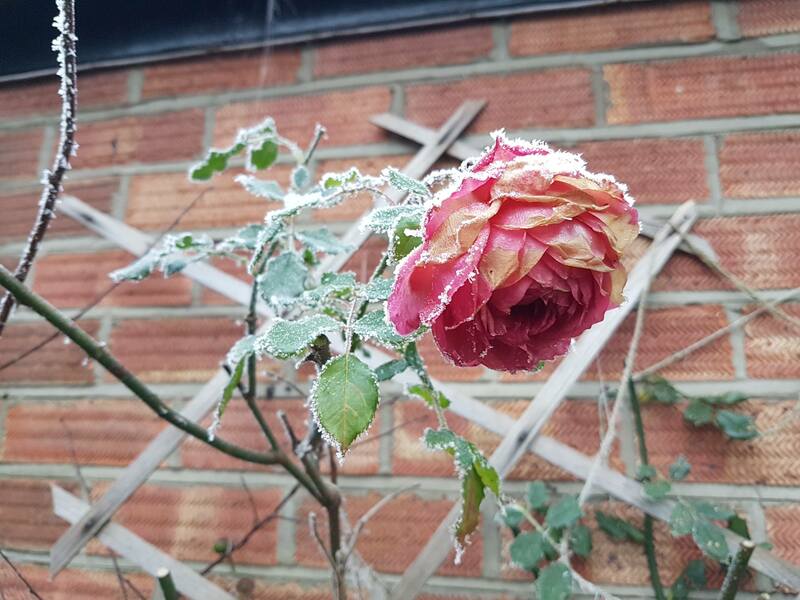 A winter rose appears. Out of nowhere but it must have been there a while. 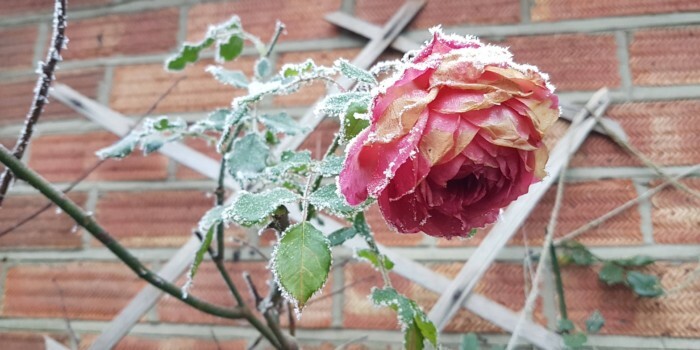 Pink and yellow dusted in the same white frost. It’s a miracle. Light gradually fails and gloom mutates into darkness. I look up, hearing only the fire. The front door opens. Activity returns to the house. The sound of pots and pans and cupboard doors. An occasional happy whistle. We are comfortable in our nest. Curtains closed on the rest of the world, the radio company for Anne in the kitchen. Posted on January 31st, by Trefor Davies in 57 Varieties.